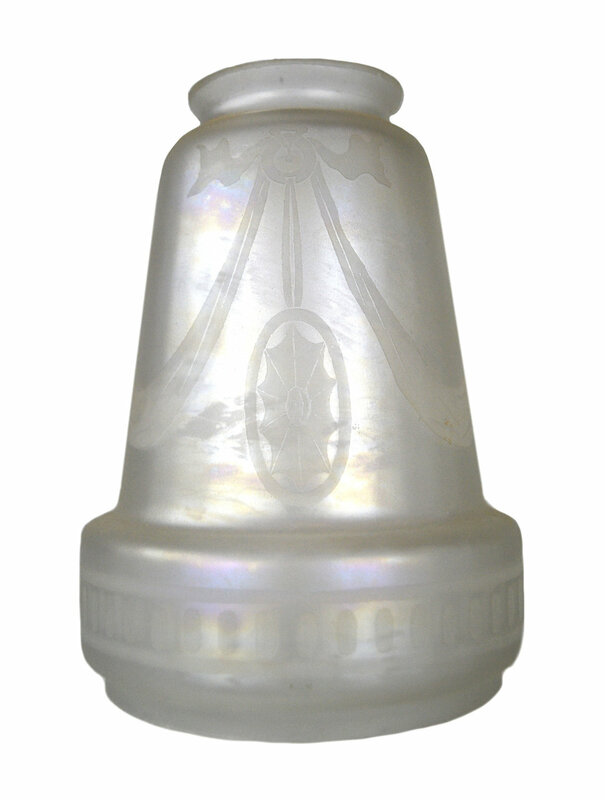 These iridescent Steuben verre de soie shades are lovely shades that would beautifully accent any number of pendants. The word "verre de soie" means "silk glass," and these glass works have been referred to by many other names, such as "Glass of Silk" and "Angel's Skin." 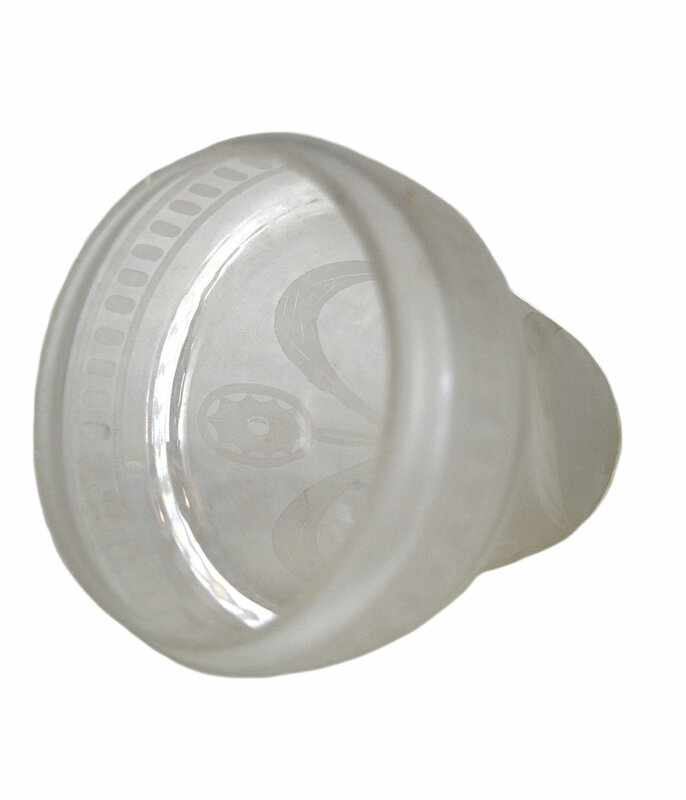 During production, the crafted clear glass was sprayed with stannous chloride, giving the finished glass a silky surface and a frosted layer on top. The verre de soie glass is also popular because of the faint rainbow effect it has when viewed from different angles. Beautiful through and through. 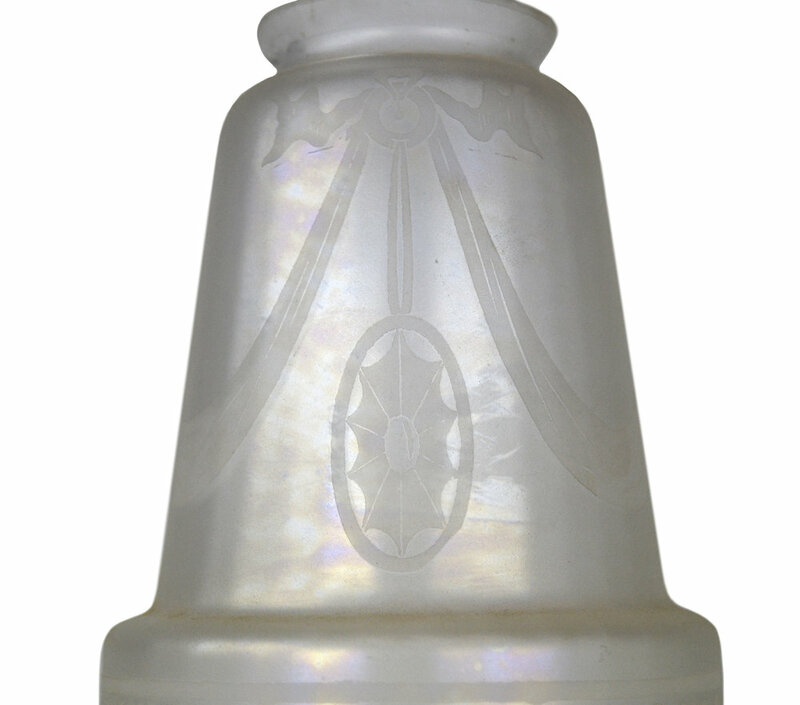 Steuben Glass Works was founded in 1903 by Frederick Carder, who has honed his craft in England. The firm did fairly well in its early years, having perfected the Gold Aurene design that was very similar to iridescent art glass produced by Tiffany. However, Steuben had a hard time staying afloat during World War I when wartime restrictions made it difficult to get the materials they needed. In 1918 Steuben Glass Works became the Steuben Division of Corning Glass Works, but continued to produce colored art glass until its last known sale in 1943. Be sure to include the Product ID (AA#S1079) when making your offer.